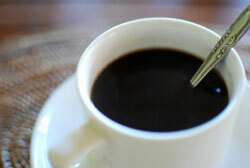 If you love coffee, then you know how important it is to start your day with a cup of coffee that is perfectly made. Coffee is important for us as it boosts our mood and provides us with energy to go through the day. Now coffee makers are one of the best inventions for those who love coffee. Coffee makers not only prepare it faster, but also provide us with great coffee. Smart coffee machines have a lot of benefits than preparing regular coffee as they save a lot of money for you, instead of going to a coffee shop every day you will have your favorite coffee at home whenever you want it. The Nespresso made by the amazing coffee makers “De’Longhi” is a great assistant for making you four different sizes, including Americano Coffee, Espresso Coffee, Lungo Coffee, and Ristretto Coffee. You get to choose the quantity you want. It works with the De’Longhi’s custom coffee capsules. This coffee maker went far beyond most other coffee makers that are being called smart, it allows you to make your coffee before even getting out of bed, directly from your smartphone. It also notifies you on your phone if the machine is running out of beans. This one is making your life, even easier, it is compatible with Alexa amazon, this allows you to get your coffee done before getting out of bed and before you even look at your phone screen, you just throw a voice command and your coffee is done. It also allows you to create different profiles in order to make different types of coffee for all your family members all at once. This one is also being connected to a phone app, it allows you to make 10 cups of coffee all at once and can operate using Wi-Fi. It features a stainless steel carafe which holds the coffee temperature for long intervals of time. Some people still love the traditional ways to make coffee. Unlike those who like coffee straight from the coffee machine, there are people who love to make their own pour over coffee. Pour over coffee is one of the ways that lets you enjoy your favorite coffee without a smart coffee machine, it requires patience and time. However, you will be guaranteed a beautiful flavor filled coffee. Smart coffee machines are indeed taking over our world, as they are faster and better than going to the coffee shop every day to buy your favorite cup of coffee. A coffee maker will be saving you time and money. However, for those who truly love coffee, they will always prefer the pour over coffee. It lets you enjoy the coffee itself and enjoy your time while making it. Although it takes time to be prepared, you will be able to drink one of the best coffees you've ever tasted.